A quick glance at the accompanying chart (showing the monthly returns of the FTSE All-Share Index in June since 1984) shows that this is not a good month for shares. Historically, the May-June period has been the weakest two-month period in the year for the equity market. 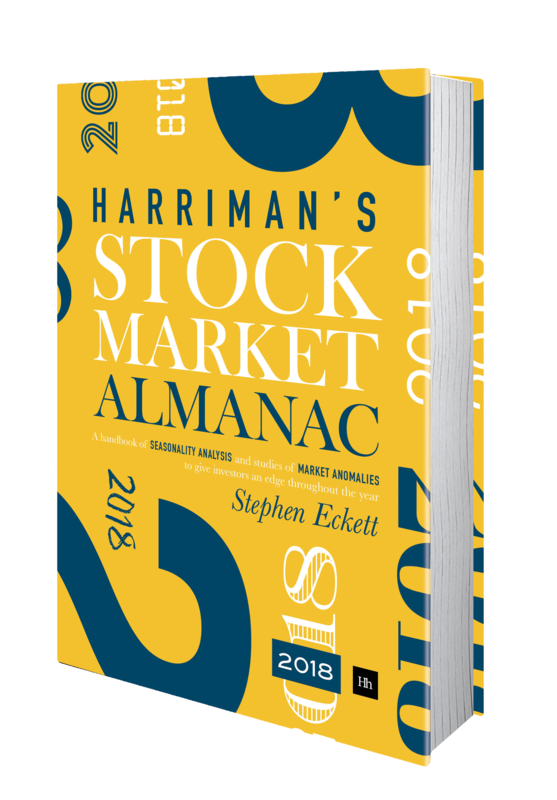 In the nine years since 2007 the market has only risen in June in one year ­ the average June return over those nine years is -2.8%. And in June last year the index fell 6.%! This dismal record makes June the stand-out worst month for shares in recent years. 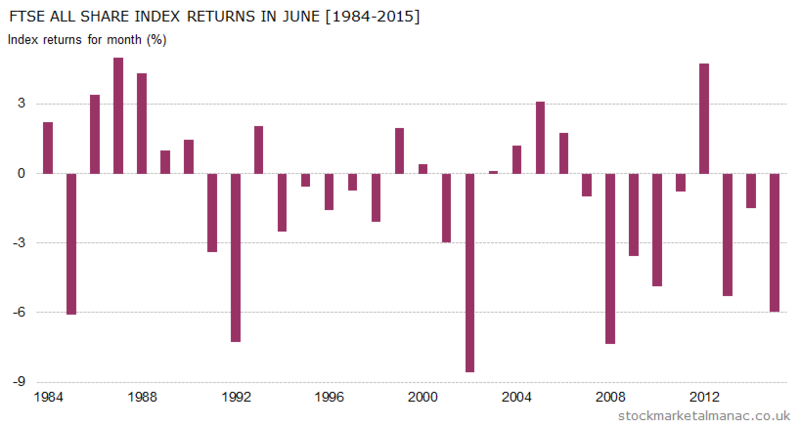 Over the longer term the record is a little better, since 1970 the average return in June has been -1.1%, but also over this period it is the only month in the year with more negative returns seen in the month than positive returns. So, not much cheer to be expected for shares this month. Regarding sectors, despite the overall market weakness in June, three sectors have gone against the trend and seen consistent strength in the month: Beverages, Oil & Gas Producers and Pharmaceuticals & Biotechnology. But while many sectors not surprisingly experience weakness in June, none are consistently weak over many years. This is quite a busy month on the economics front: there is the ECB Governing Council Meeting on the 2nd, US Nonfarm payroll report on the 3rd, FOMC interest rate announcement on the 15th, followed the next day by the MPC interest rate announcement on the 16th. And not to forget Triple Witching on the 17th.